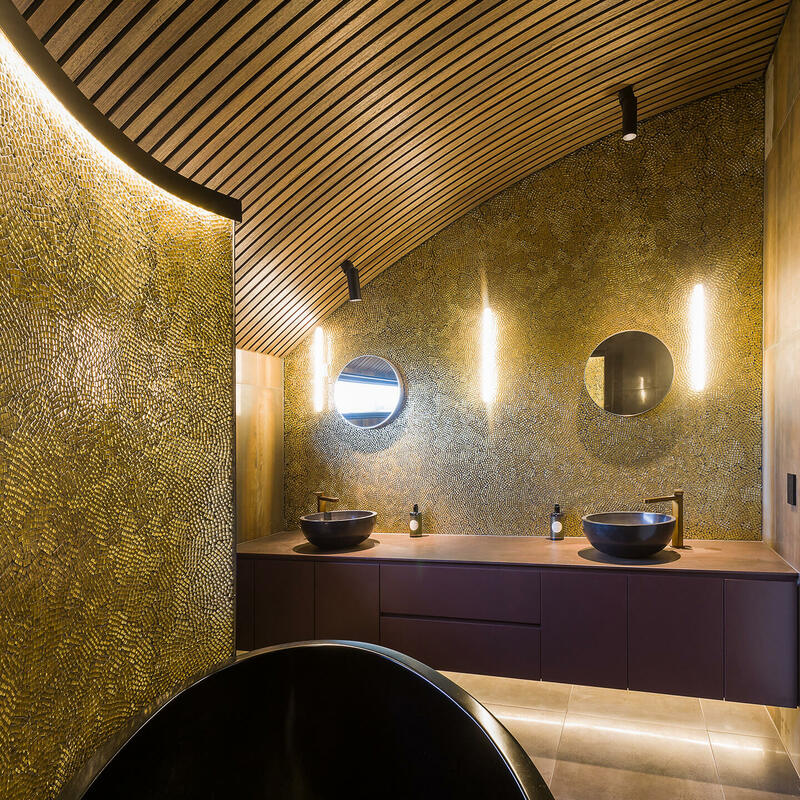 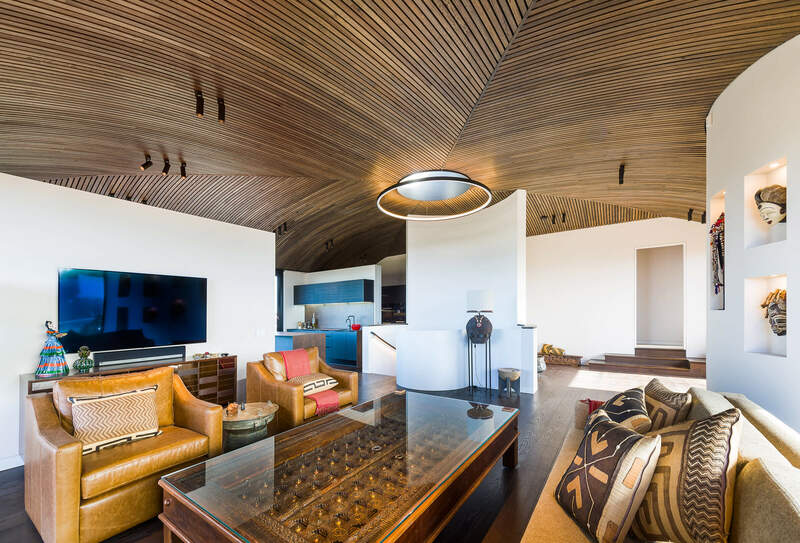 A home oozing of opulence, Sorrento House utilises a unique curved ceiling which turns a luxurious home into an architectural marvel. 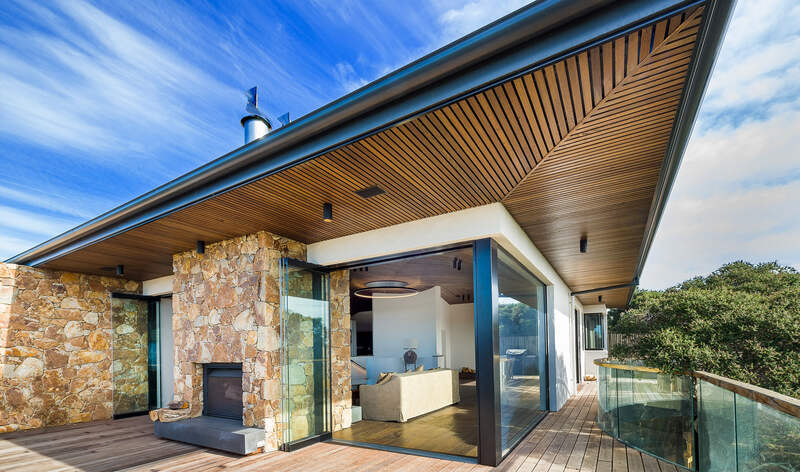 Constructed by Brynor Constructions working closely with the clients, architects SAAJ design and Steve Rose, the home is designed to harmonise with its coastal location perfectly. 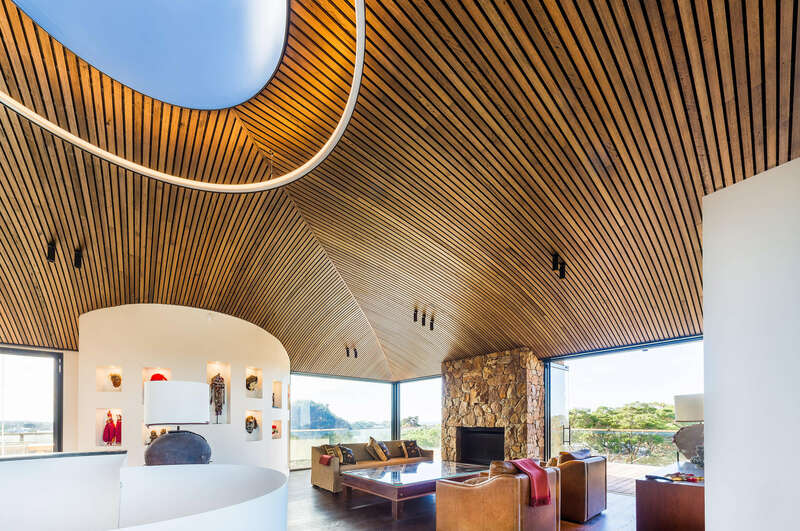 Made with Sculptform’s Click-on Battens, the single form feature ceiling outshines some fantastic ocean views. 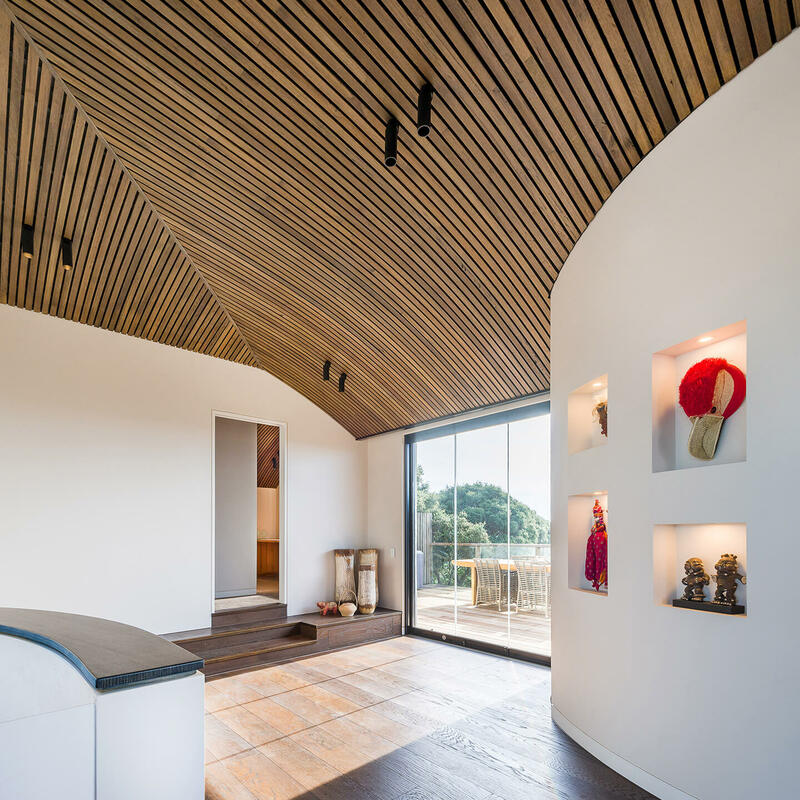 The most noticeable facet of the interior is the spectacular curved ceiling which spans the entire upper floor. 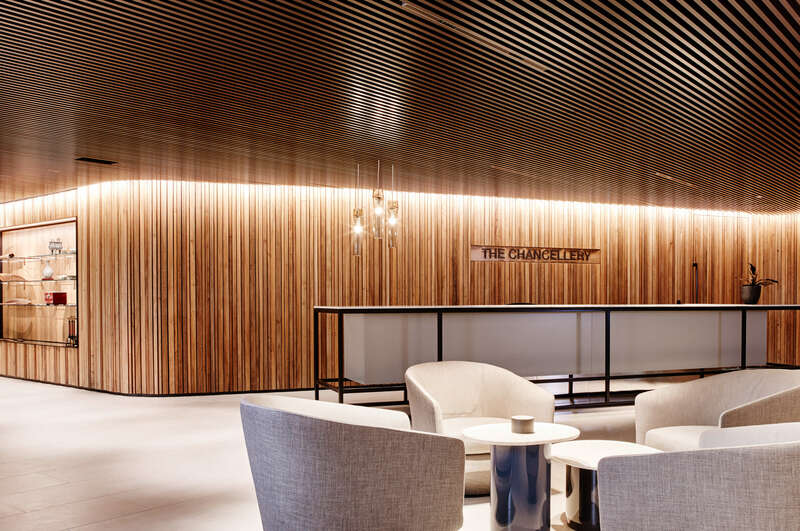 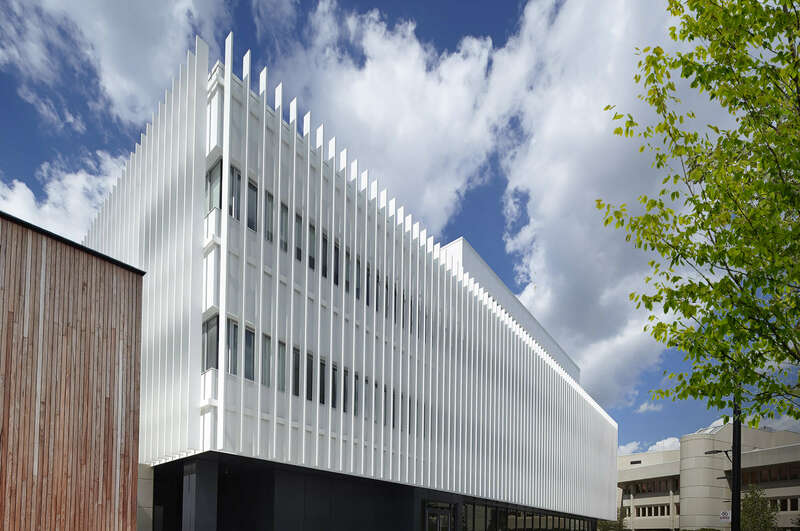 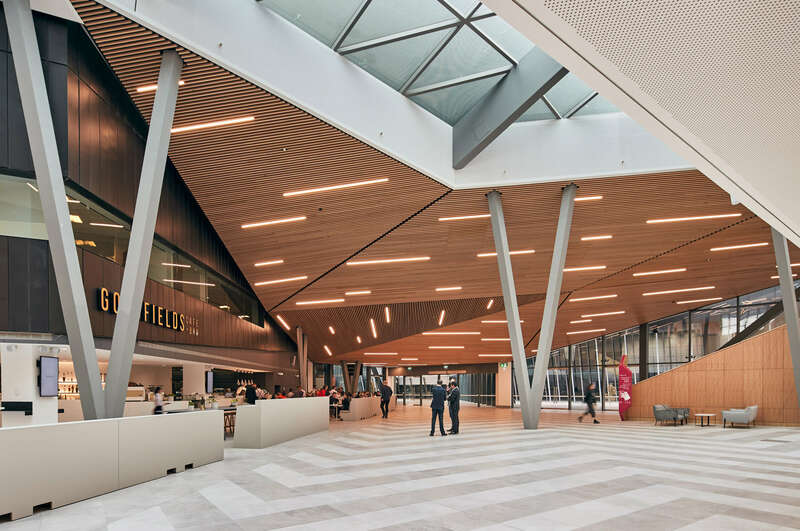 The ceiling uses click-on timber battens bent to angle down toward the edges of the building, creating a singular form canopy. 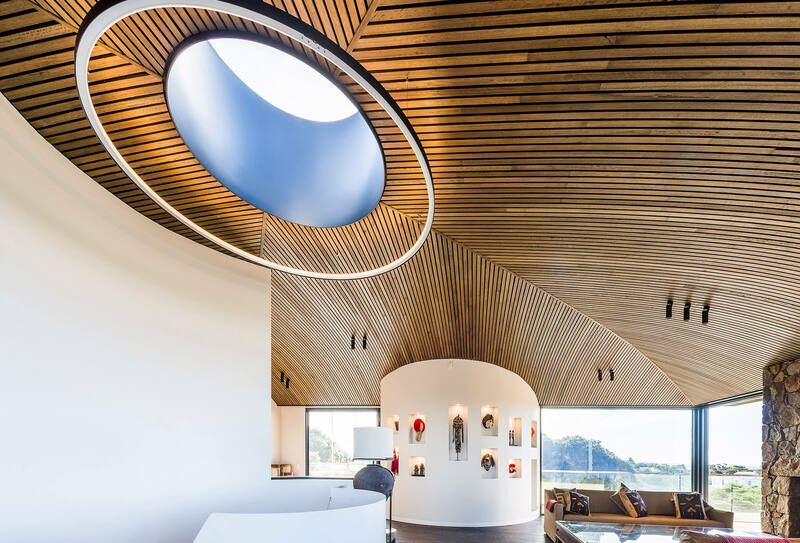 A large skylight above a circular pendant light creates a feature in the centre of the ceiling while also providing light to the solid white central staircase. 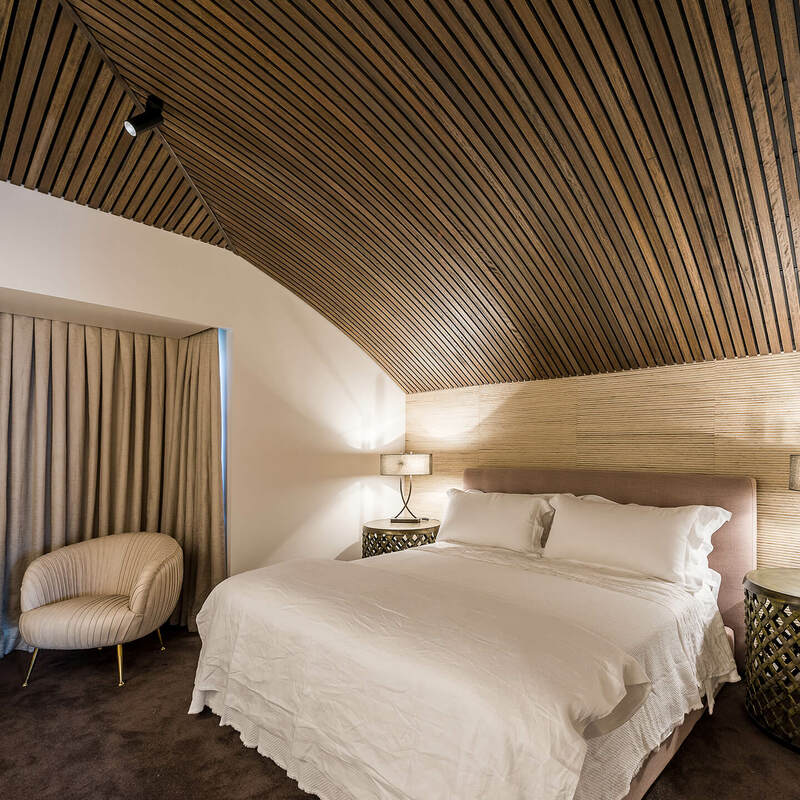 Picturesque views are seen through large full-length windows, taking advantage of the location of the property. 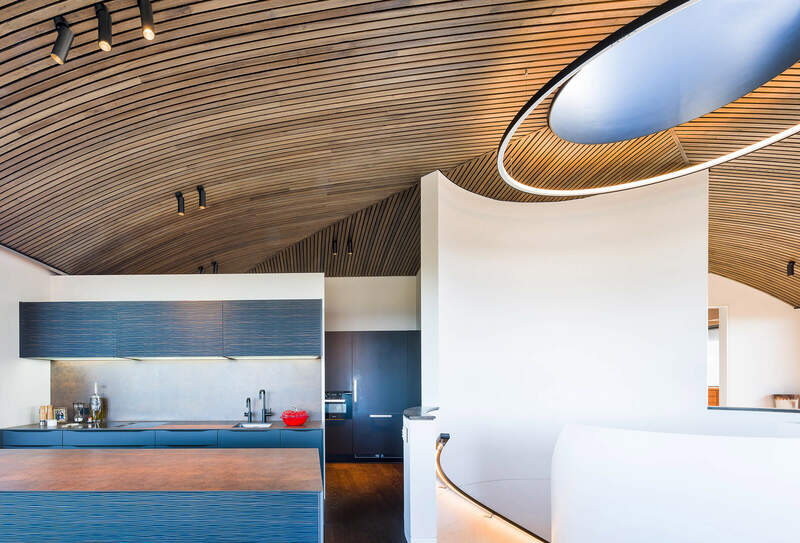 The arch of the curved ceiling draws the eye down toward the windows, some of which open to a balcony providing access to the sea breeze. 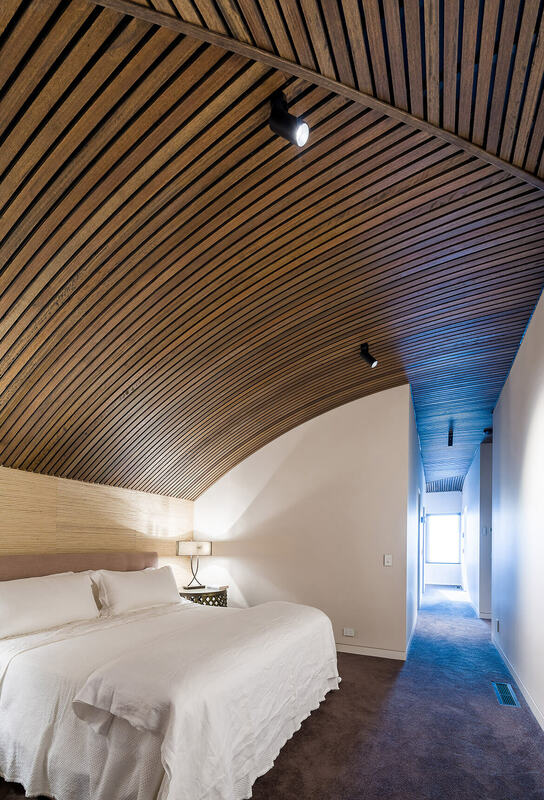 The battens which make up the incredible feature ceiling are made from Australian Blackbutt timber in Sculptform’s Click-on Batten System. 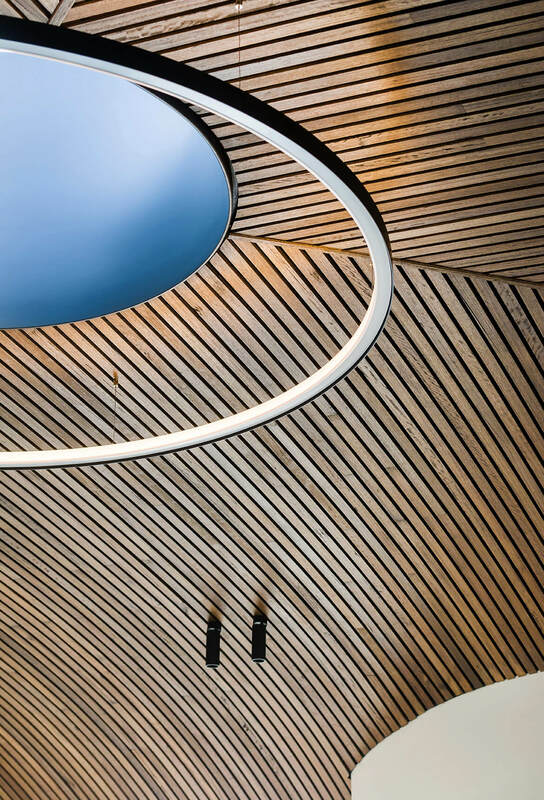 60x19mm battens placed at 15mm spacing, then curved to fit the form of the ceiling create a unique texture and shape. 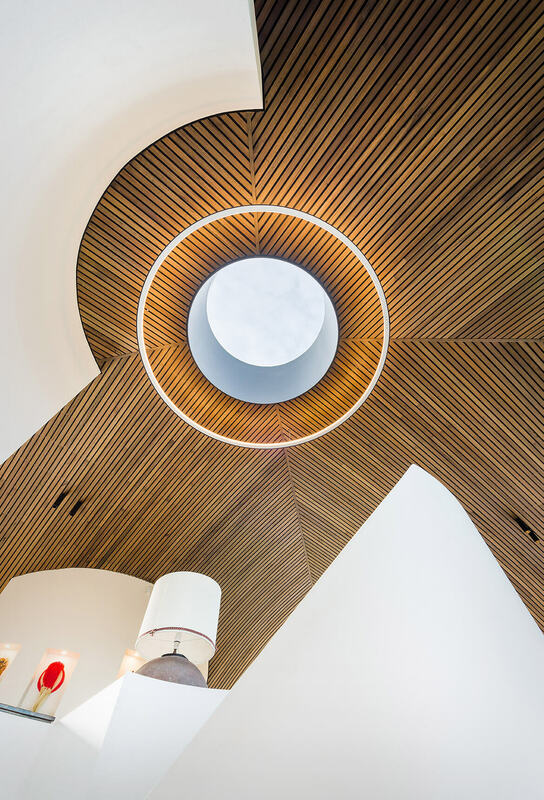 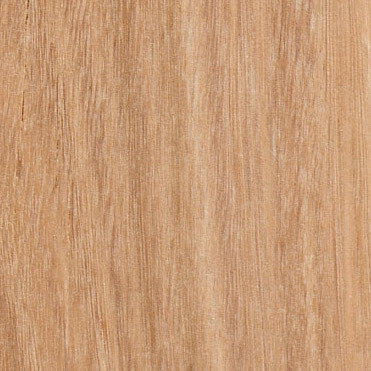 The colouring of the Blackbutt timber provides a level of variation which gives the battens a natural aesthetic, in contrast to the clean white surfaces of the internal staircase. 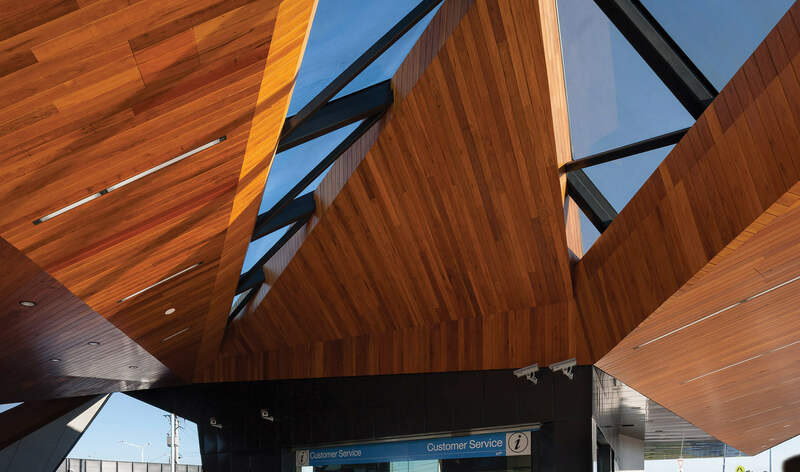 The primary contractor on this project, Brynor Constructions, is a Sculptform Partner Installer. 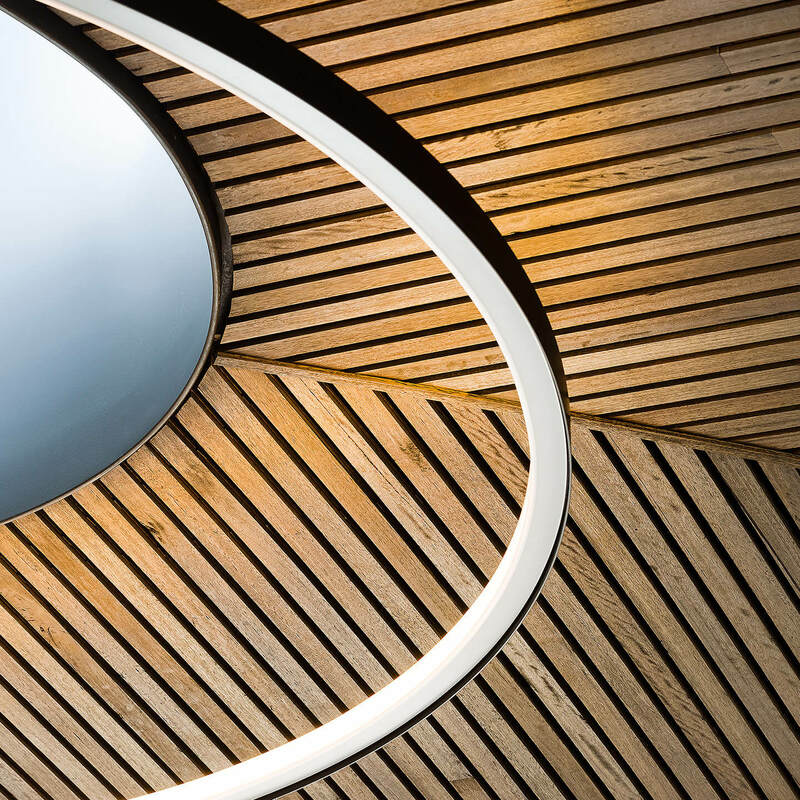 Our Partner Installers are trained and experienced in using our products, and we are so confident in their expertise that we will offer a ten-year warranty on a project they install. 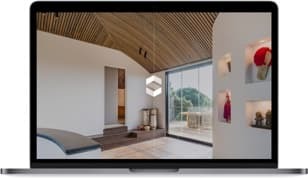 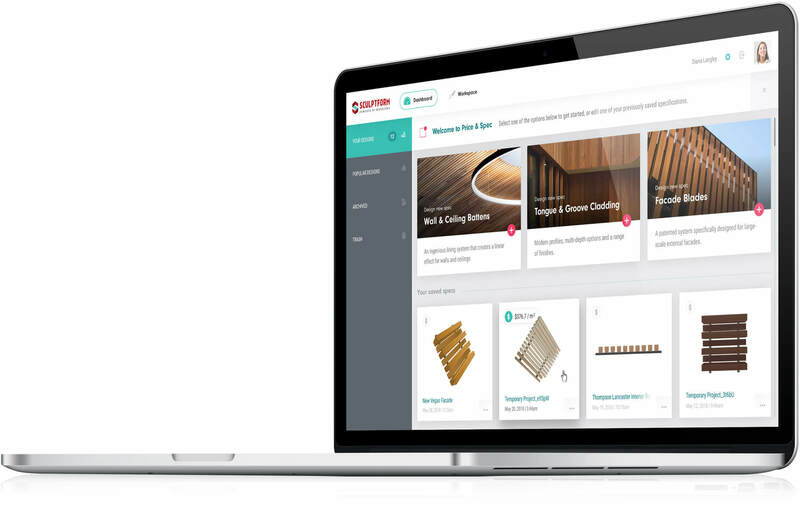 To find a Partner Installer for your next project, view our portal here.